The Olympics resumed after an eight-year break following the bloodshed of World War I. 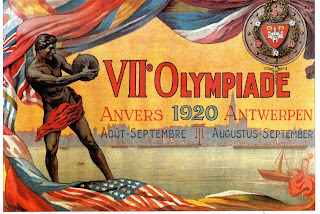 These games were to be held at Antwerp in Belgium. Football had now taken hold of much of the European continent. These 1920 Football Olympics in fact would see the International debuts of Nations such as Spain, Greece, Czechoslovakia, Yugoslavia and Egypt. The African representatives Egypt would be the only non-European Nation taking part. Despite the end of the War, Political animosity still lingered on. 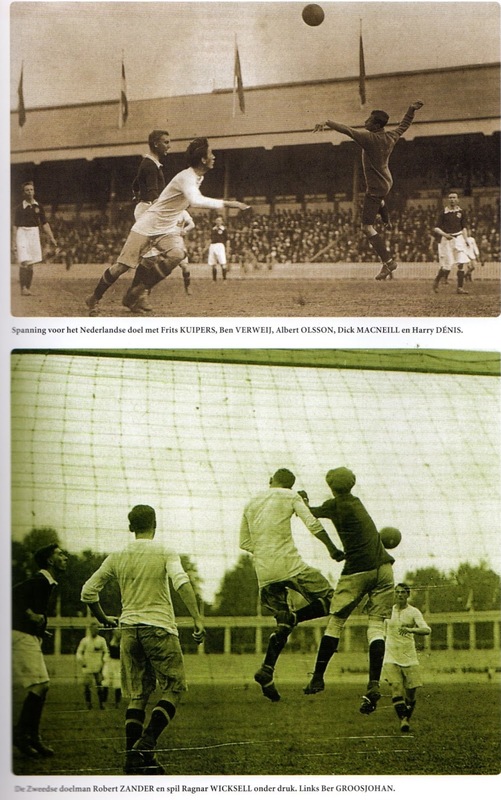 The British Home Nations had left FIFA since other Nations did not agree to boycott Germany and Austria as they had. They nevertheless agreed to participate. The United States protested Great Britain’s entry since they had left FIFA. Belgium and France also joined in the protest but it went no further and in any case the USA did not participate. There were absentees (un-invitees) such as Germany, (still suffering the effects of Military Defeat of World War I) and Austria / Hungary (an Empire now broken into many Nations). In addition, Russia (soon to be the Soviet Union) was still engaged in a Civil War en route to full Bolshevik takeover. 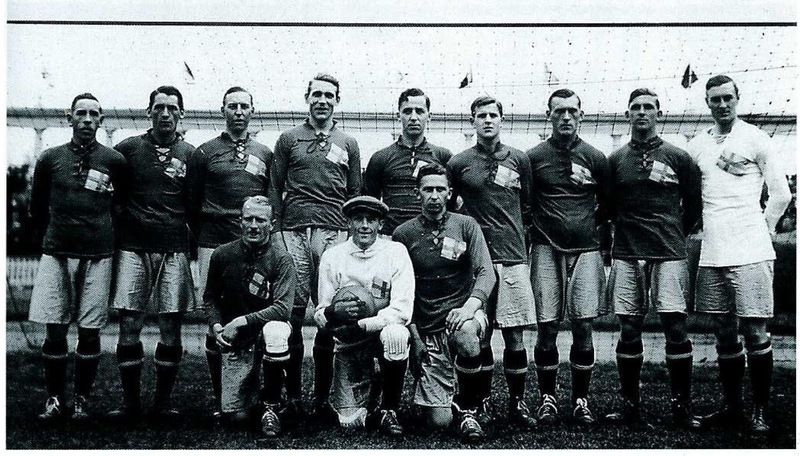 The defending Champions of the last two Editions, Great Britain were present along with other European Nations such as France, Italy, Denmark, Norway, Sweden, Spain, Czechoslovakia, Yugoslavia, Greece, Luxembourg, Holland and the Hosts Belgium (And Africa’s Egypt). Poland and Switzerland should have also been present but bowed out in the last minute. The set-up of the Tournament was somewhat unconventional. It was what was referred to as the ‘Bergvall System’, where teams that were eliminated in the earlier rounds, would then play one another in a ‘separate’ parallel Tournament for the purposes of ranking all in the end. The Tournament would have to be completed in a speedy manner and would last just six days. Besides their medals, the winners could choose a gift as well (Either a vase, a chimney cover or a table service). It was still the era of amateurism and it reflected on the Team’s preparations as well as the Tournament format. The Belgian hosts did not have a training camp nor a base during the Olympics. The players would actually return home at the end of each day. They were paid 10 Belgian Francs per day for pocket money, which was primarily used for transport. 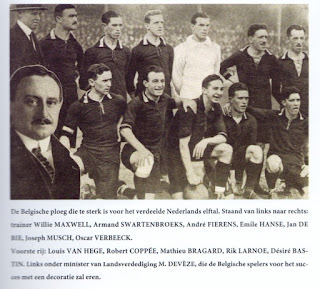 To physically train the Team, Belgium’s Scottish Manager William Sturrock Maxwell had organized trainings in four different cities. On Tuesdays, the team would train at Antwerp, followed by Liege / Bruges (on alternate Wednesdays) and Brussels on Thursdays. For the Dutch, the Training regimen included the avoidance of smoking and alcohol. In addition, curfew was set between 10:30 and 11:00 PM for a minimum sleep of eight to nine hours per day. It was the squads’ lodging that would become a source of tension. The Federation Officials had been housed with good accommodations, while the players were placed in a Dutch Navy Ship ‘Hollandia’. 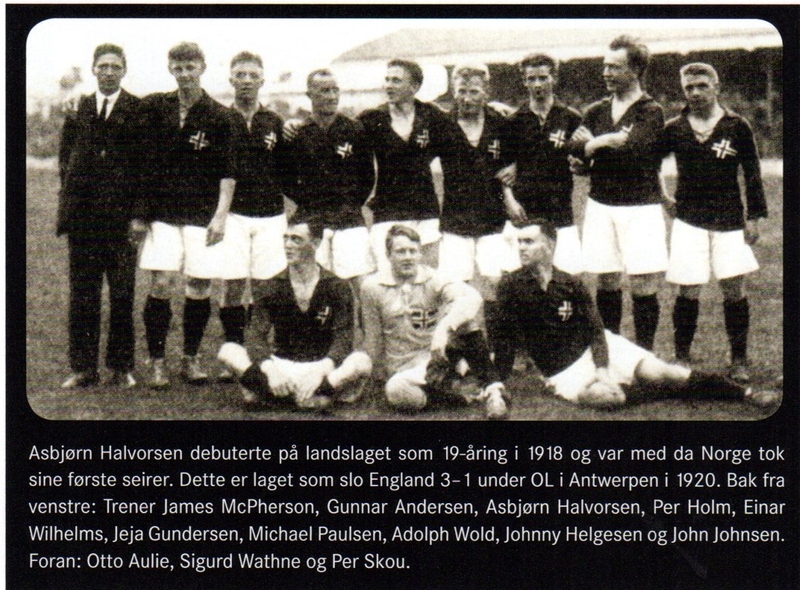 The Tournament’s First Round of matches took place on August 28th, 1920. France and Belgium were assured of advancing as their opponents Switzerland (for the French) and Poland (for Belgium) forfeited. The Financial cost of participation was too much to bear for the Swiss as a result they did not participate. As far as Poland, they just did not show up. 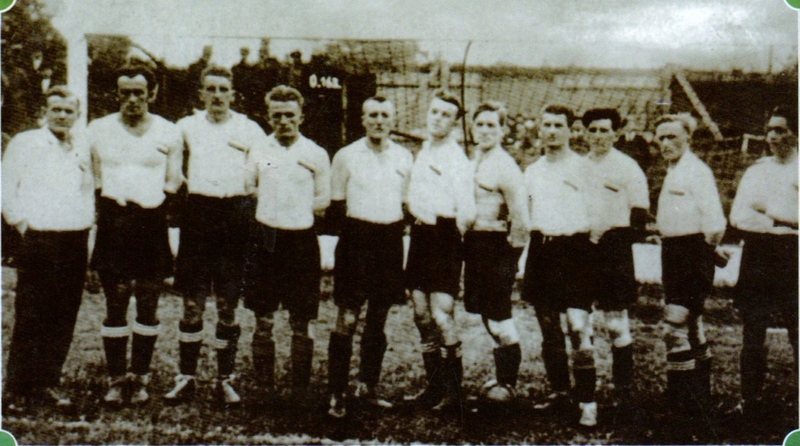 The two International Debutants of Czechoslovakia and Yugoslavia faced off at Antwerp’s Deurne, Bosuil Stadion at 10:00 AM. 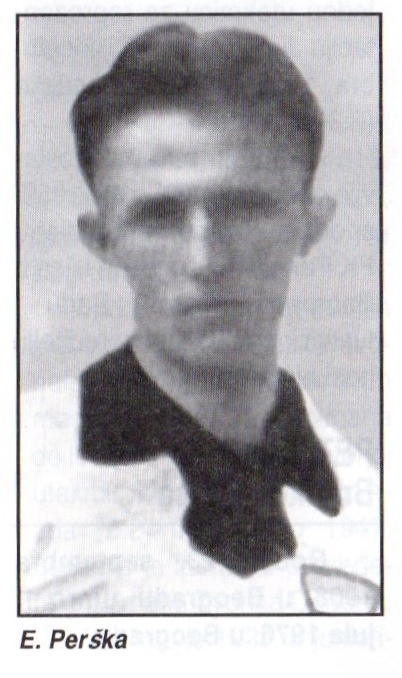 The Yugoslavians suffered a setback in the 13th minute, when Rudolf Rupec (A former Austria International) was forced to leave the field injured. In those pre-substitution days, they were forced to play with one man short. Czechoslovakia soundly defeated Yugoslavia (7-0) with both Antonin Janda and Jan Vanik scoring hat-tricks. 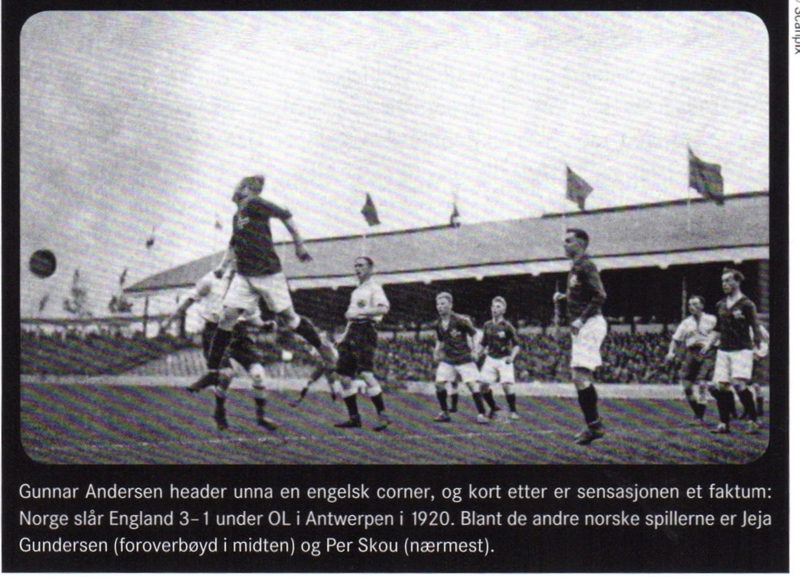 At another venue at Antwerp (Kiel-Olympisch Stadion) (15:30 PM Kickoff), the biggest surprise of the First Round took place, with Norway defeating the favored Great Britain side (3-1). Einar Gundersen scored a double and Norway Captain Gunnar Andersen received much praise their performances. 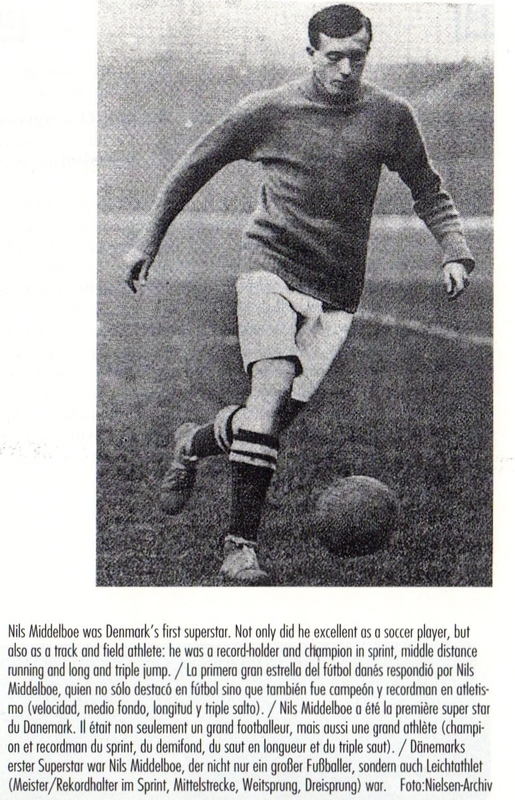 For the British their goalscorer was Welshman Fred Nicholas, who was also the only non-English member. Following this match at the same venue (17:30 PM kickoff), in a complete mismatch Sweden demolished International debutants of Greece (9-0) with Herbert Karlsson scoring five of the goals. The Greeks had made a six-day journey to arrive at Belgium. They had taken a boat to Marseille, France and afterwards arrived by train going through Paris and Brussels before arriving at Antwerp. The inexperienced Greeks were also forced to contend with the injury to Nikolaos Kaloudis early in the second half, that had left them one man short for much of the match. Greece’s Apostolos Nikolaidis also competed in the decathlon in these Olympics. Greece would not play another International match until 1929. 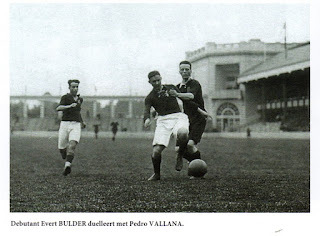 At Brussels’ Stade Joseph Marien (La Butte) (15:30 PM Kickoff, some sources show 14:30 PM), Spain made its debut in the International Arena by taking on the much more experienced Denmark featuring Nils Middleboe (He would become Chelsea’s first ever foreign player). 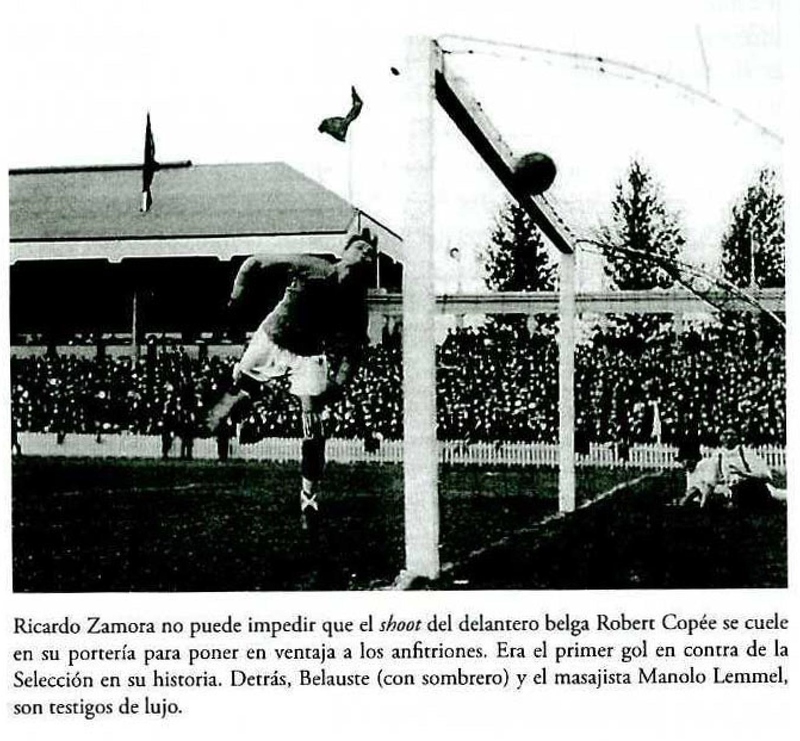 The Spanish starting eleven featured eight Basques and featuring a nineteen year old goalkeeper named Ricardo Zamora. At the start of the match, the Referee noticed that Zamora was wearing a blue Shirt like the Danish opponents. He asked him to change and he wore a White Shirt. 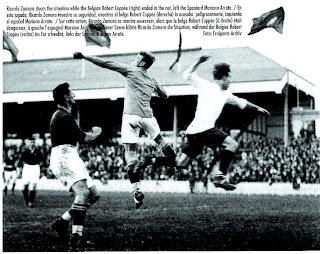 The Spanish also wore Blue shorts as the Danes were wearing white shorts. They chose to retain the blue shorts from then onwards. The physical Danes started better but slowly Spain got into the match. The Spanish scored a goal in the first half by Patricio, which was ruled out (offside). Patricio would go on to score Spain’s winner (and the first ever goal of the Spanish National Team) in the 54th minute. The Spanish goalkeeper Ricardo Zamora entered Football folklore with his superb performance that day and would go on to become of the goalkeeping legends of the 20s and 30s. He received a standing ovation at the end of the match and was lifted over shoulders. 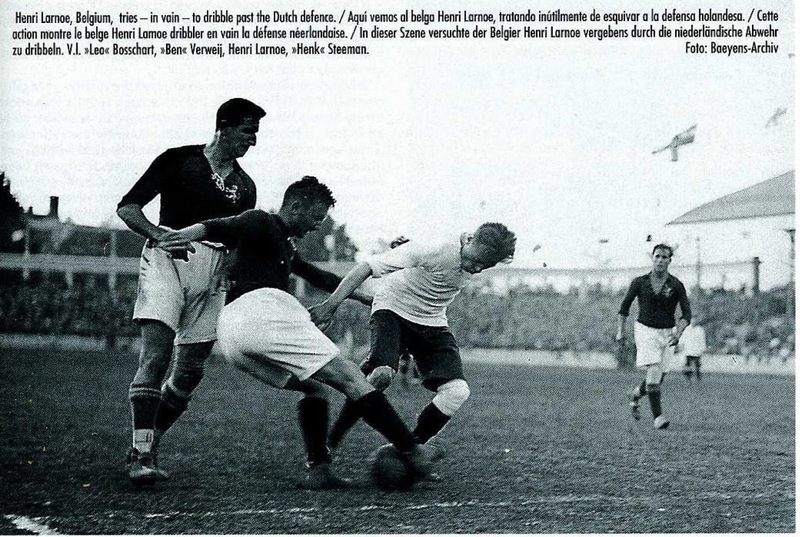 Later at the same venue (17:30 PM kickoff), Holland defeated Luxembourg (3-0) with a double from Ber Groosjohan. 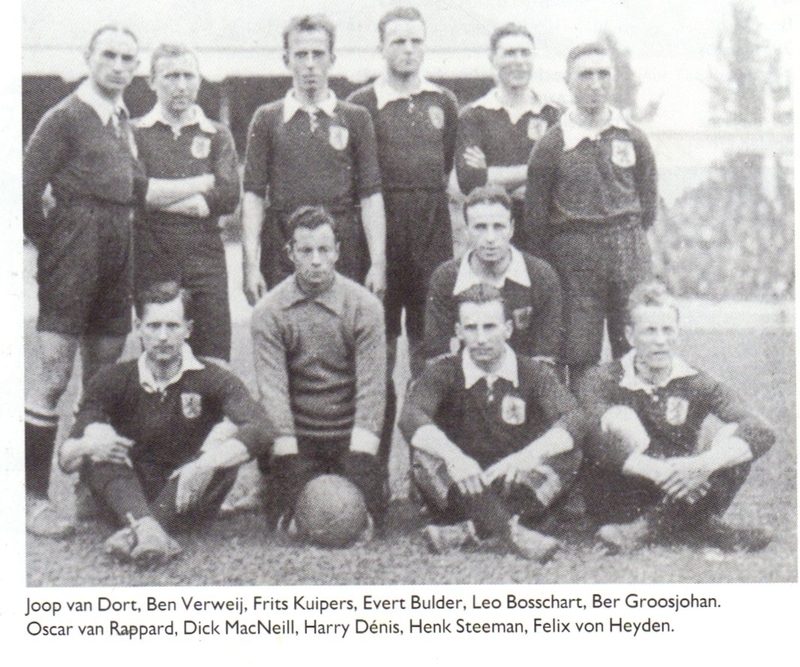 The Dutch included four debutants: Kuipers, van Rapaprd, Groosjohan and Jacob Bulder. Eight of the Luxembourg side were also earning their first ever caps. Holland’s Oscar van Rappard also competed in the 110 m hurdling (but eliminated in the preliminaries). Still on the same day (15:30 PM Kickoff), Italy took on Egypt at Gent. They had made little preparations for the Tournament. They had a lack of funds and a small pool of players. 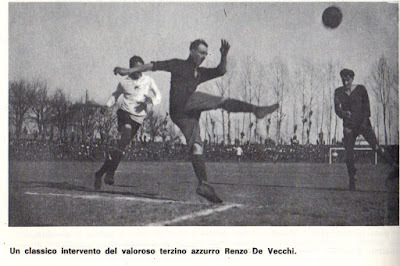 The team assembled in haste had played just one friendly vs. club side Pro Vercelli. Italy had Adolfo Baloncieri one of the greatest Italian players of the 1910s and 20s. 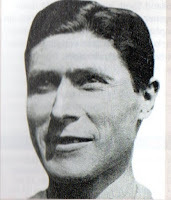 He would later be part of the Legendary trio at Torino consisting on him, Julio Libonatti and Gino Rossetti. 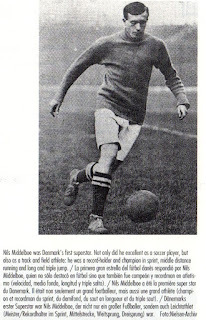 He would also have a long career as a Manager in the 1930s through the 60s. 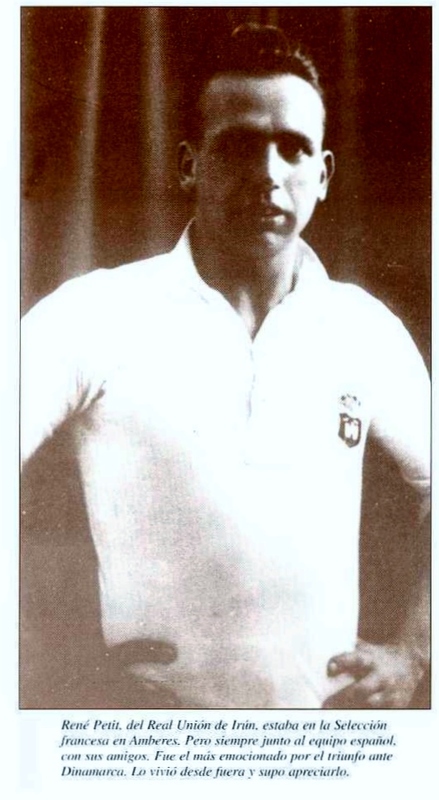 Adolfo Baloncieri and his cousin Guglielmo Brezzi scored Italy’s goals in a (2-1) win over an Egyptian side Managed and Captained by Hussein Hegazi. The Quarterfinals took place on the following day, August 29th. 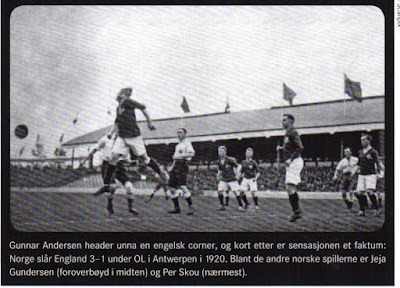 At Antwerp’s Deurne, Bosuil Stadion, Holland took on Sweden in a thrilling match. Following their first match vs. Luxembourg, the Dutch squad’s return ship to Antwerp had been delayed until midnight and the squad arrived late to have proper sleep and rest. Their match vs. Sweden was scheduled at 10 AM. The other quarterfinals were scheduled at 15:30 PM (staggered one hour in between). The match ended (4-4) in regulation time. At one point Sweden were leading (3-1). Sweden’s Herbert Karlsson scored two more goals but missed a penalty kick in the 70th minute. The match had to go extra time, where Holland’s Jan de Natris scored Holland’s winner in a (5-4) win. The Refereeing of the Czech Josef Fanta was questioned by both sides. At halftime, a Dutch Journalist even slipped a note questioning his competence. At the end of the match, Sweden lodged an Official protest. Sweden even suggested a rematch with the Dutch at Amsterdam but Holland refused since it would undermine the Olympics. 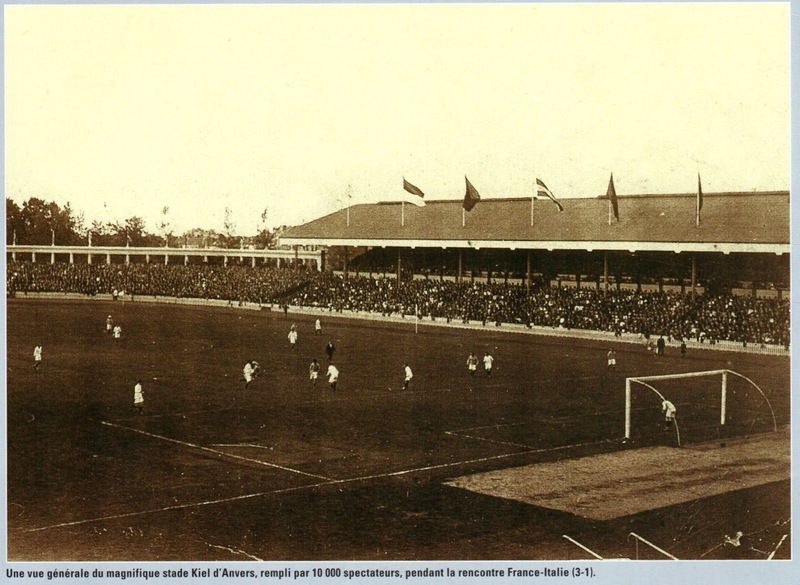 At Antwerp’s Kiel-Olympisch Stadion, France took on Italy. The Italian were tired after playing the previous day, while the French were fresher and well rested after their opponents Switzerland had forfeited. 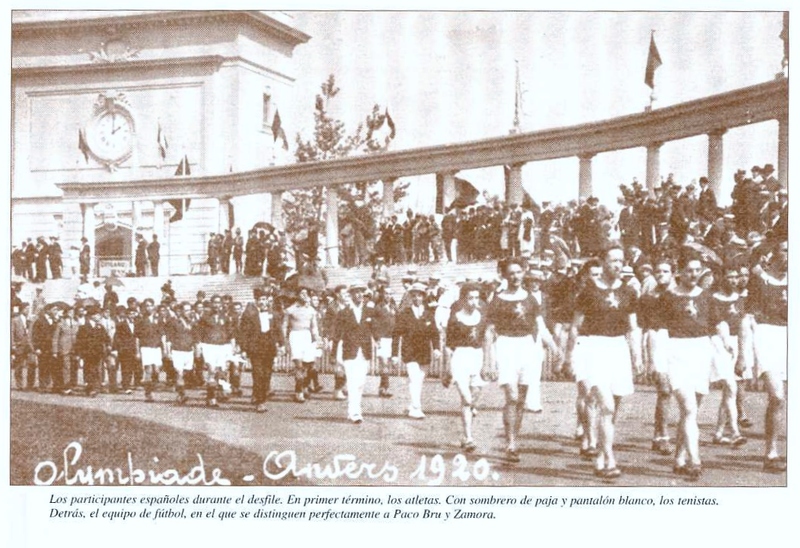 Due to lack of funds, the Italians were forced to get to the stadium by tram. Some players were even late in reaching the Stadium. 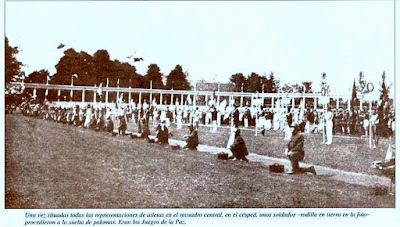 The French had trained for two weeks prior to the Games. Their Manager was the Englishman Fred Penteland, who preferred to manage players individually rather than collectively. For the French Huot, Petit and Boyer were earning their first caps. 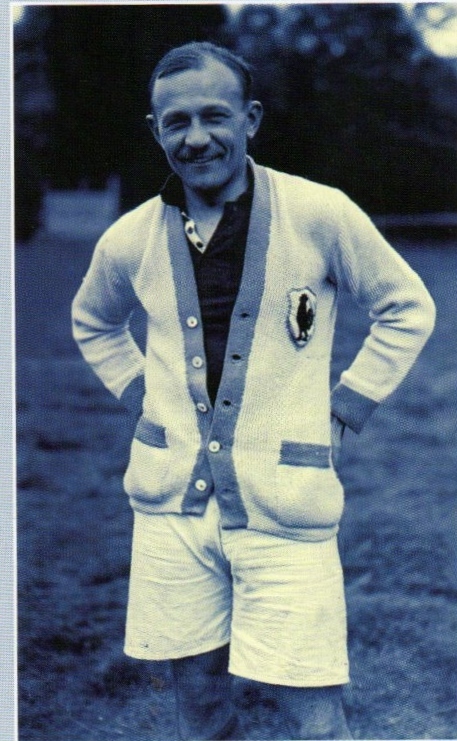 Rene Petit had been born in France to a French father and Spanish mother, but lived and played in Spain for Madrid FC and Real Union. He had even declined to play for the Spanish National Team. At the time, Petit was doing his military service at Bordeaux. For the Italians, Pio Ferraris and Giustiniano Marucco earned their first caps. France led to a (2-0) lead with goals by Henri Bard and Jean Boyer. Guglielmo Brezzi pulled one goal back for Italy through a penalty kick. 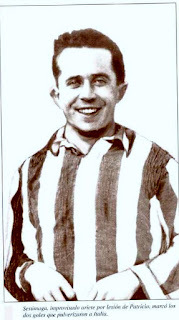 Early in the second half, Bard scored his second goal and France’s third for a final score of (3-1). Remarkably, France would not defeat Italy again until 1982 (62 years). Later at the same venue, the Belgian hosts made their debut in the Tournament by taking on Spain. Three players made their debut for Belgium that day, goalkeeper Jan De Bie and Andre Fierens and Felix Balyu. The Spanish had to make changes from previous match as some were injured from the encounter the previous day. 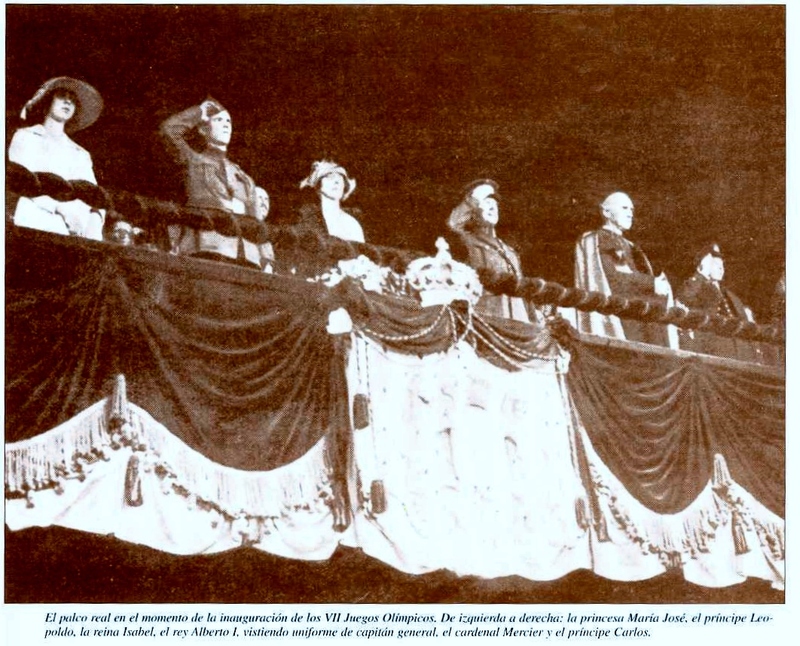 The Spanish Captain Belauste, Samitier, Sesumaga and Otero were missing. The Spanish selectors gave four first caps to Vallana, Artola, Sancho and Vazquez. Zamora’s heroics on the previous day had convinced the reserve goalkeeper Augustin Eizaguirre that he would not see any action. He decided to return to Spain. The normally red wearing Belgian took the field wearing white. 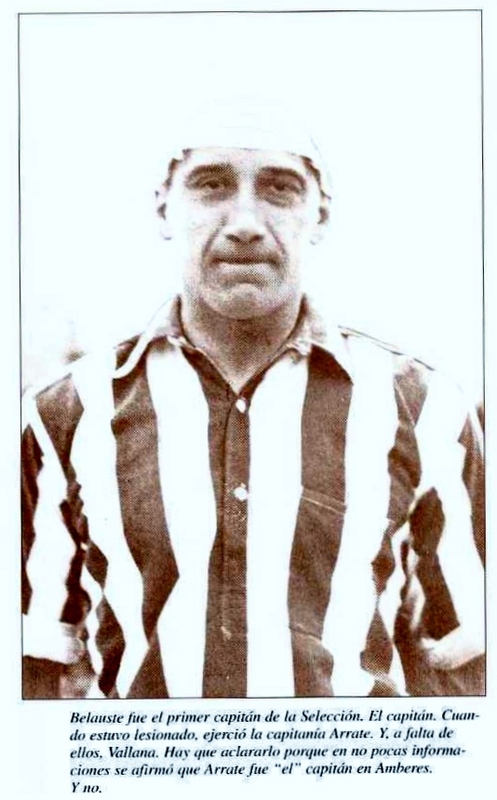 Robert Coppèe had a magnificent match and scored a hat trick in Belgium’s (3-1) win. However, the Belgian public had been less than satisfied and had showed hostility at the selection of a number of players at the expense of Antwerp based players. The crowd even resorted to applauding the Spanish Team to make their discontent known and even threatened to enter the pitch. At Brussels’ (La Butte), Czechoslovakia were once again involved in a high scoring match. They defeated the surprising Norwegians (4-0) with Antonin Janda scoring another hat trick. For the Czechs, Karel Steiner and Emil Seifert earned their first caps. The Semifinals took place two days later on August 31st. 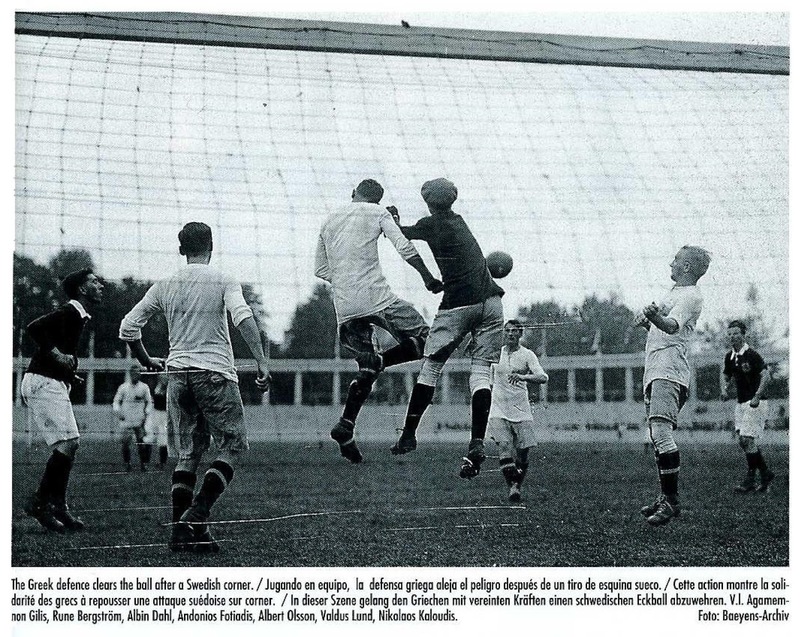 At Antwerp’s Kiel-Olympisch Stadion (15:30 PM Kickoff), France took on Czechoslovakia. The Czechs were missing the injured Vaclav Pilat, which led to an opportunity for Jan Placek to earn his first cap. 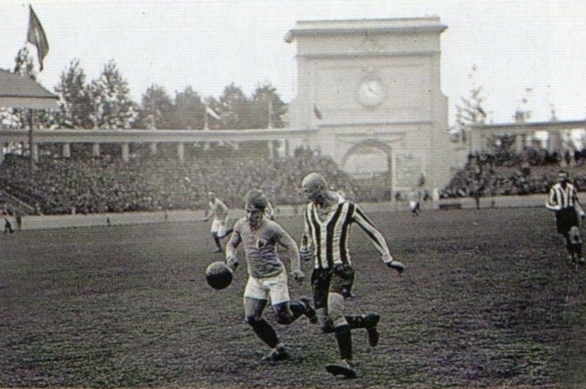 Czechoslovakia took the lead in the first half through Otakar Škvajn Mazal. He would go on to score a hat trick in a (4-1) Czechoslovakia win and helped them advance to the final. In the second half, the Dutch Referee Johannes Mutters took the unusual step of removing his Czech Linesman Raca. 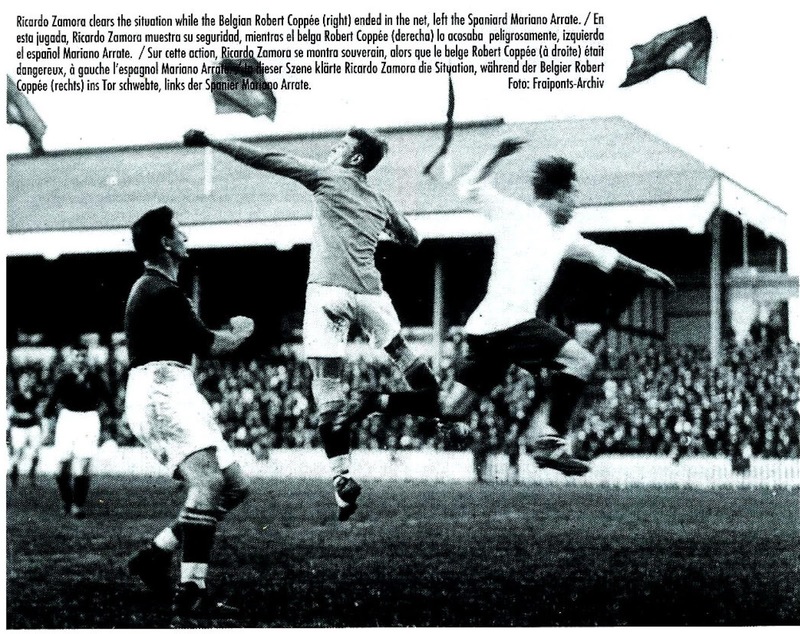 He was showing clear bias against the French by constantly raising his flag when France were attacking. The French were heavily criticized by their own press (which now included former player Gabriel Hanot), most notably the likes of Bard, Nicolas and Dewaquez. 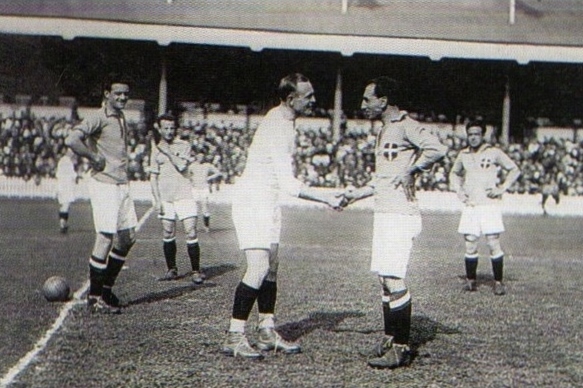 Later on at the same venue (17:30 PM Kickoff), the host Belgium took on neighbors Holland. After the protests from their own fans in the previous match Belgium replaced three members of its starting lineup and inserted replacements. Count Joseph d’Oultremont (President of selection committee) took out Felix Balyu, Captain Fernand Nisot and Georges Hebdin. The Walloon Mathieu Bragard came into the squad for Balyu. While Hebdin and Nisot were replaced with locally based duo of Henri Larnoe and Dèsirè Bastin. 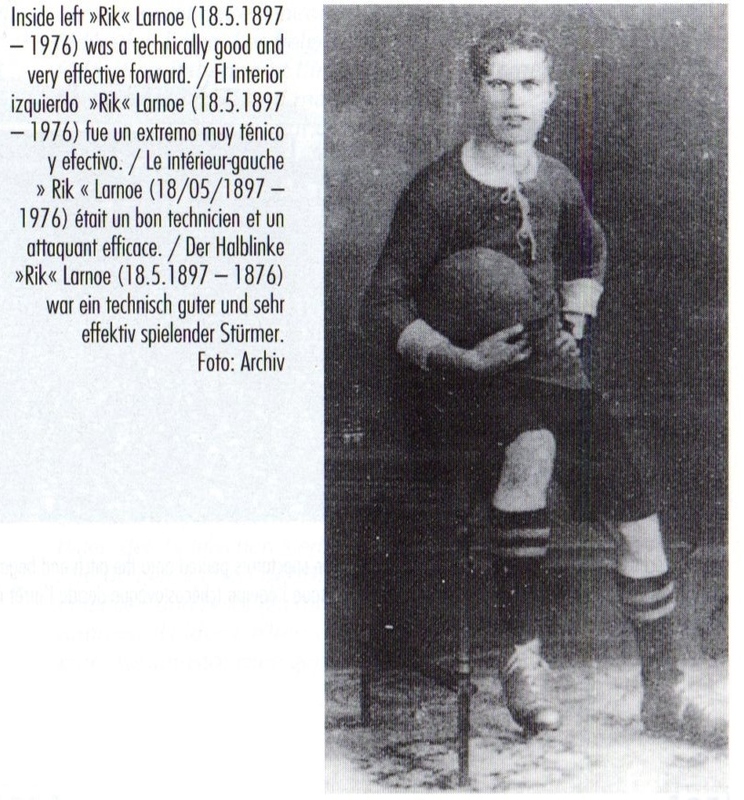 It was in the second half that Henri Larnoe (one of the new inclusions) gave Belgium the lead. 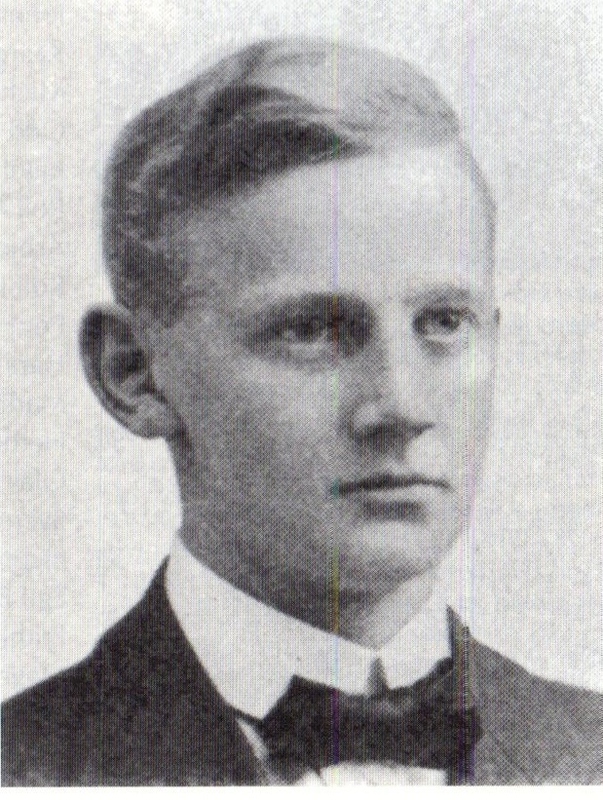 Louis van Hege doubled the lead less than 10 minutes later. Minutes before the end Mathieu Bragard (another new inclusion) scored Belgium’s Third and they also advanced to the Final. For the Dutch the frustration was too much and following the match the sore topic of the player accommodations came to the fore. The players were staying in the Dutch Navy Ship ‘Hollandia’ to save costs while Federation Officials were in nice hotels. The ship was stationed in the River Scheldt with cramped rooms that were shared by three players per room. The conditions were too much for the players and eventually Team stars Jan de Natris and Harry Denis took it upon themselves to look for a hotel after their discussions with management led nowhere. The Federation officials reprimanded Team captain Leo Bosschart for his lack of leadership and losing control of the team. The players rebelled further when led by de Natris they started drinking and sampled the Antwerp nightlife. The Federation came down hard on the squad and decided to punish the main four culprits: Jan de Natris, Jaap Bulder and reserves Evert van Linge and Henk Tempel. They are initially ordered to return home, but the other players stood with the ‘guilty’ players and threatened to leave with them. In the end, a compromise was reached and the punished players were allowed to stay but could not play in any more matches. Afterwards, Federation Official Count Van Limburg Stirum provided the squad with a gramophone and some records to alleviate their boredom. But the players instead smeared the records with jam and threw them across the river. Also on the same day, the Consolation Tournament matches were played. 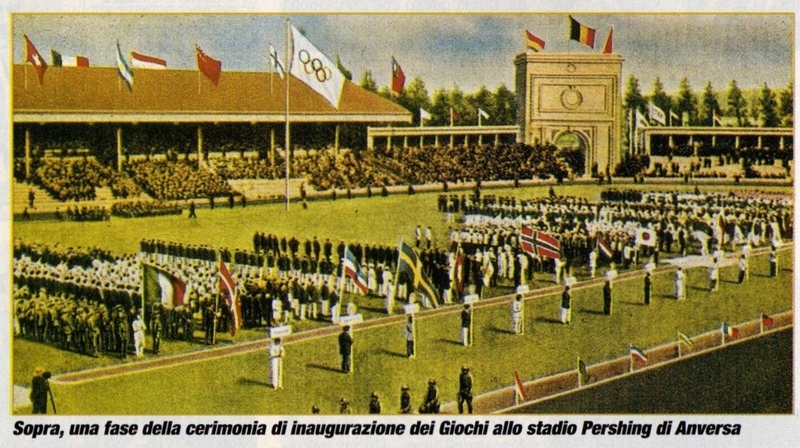 Italy took on Norway at Antwerp’s Kiel-Olympisch Stadion (10 AM Kickoff). Italy were missing Captain Renzo de Vecchi and Adolfo Baloncieri. The Italian Management offered four new caps to Virginio Rosetta, Luigi Burlando, Rinaldo Roggero and Emilio Badini II. In an interesting episode during the match, the Norwegians were awarded a penalty kick, but the Italians protested to such an extent that the Referee awarded a free kick instead. The match ended (1-1) in regulation time and had to go into multiple overtimes. The initial two 15 Minutes Overtimes were followed two extra times of ten minutes each. Italy finally came out as winners (2-1). 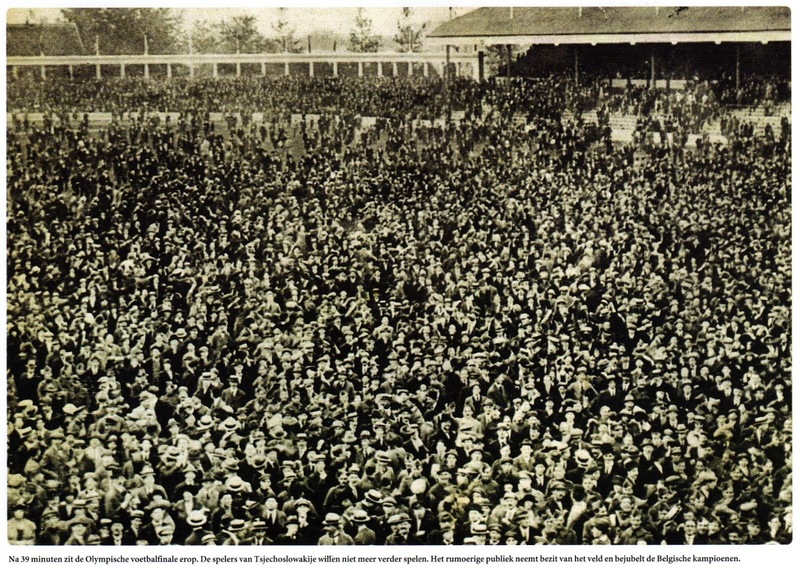 The following day (September 1st) at Antwerp’s Deurne, Bosuil Stadion, Spain took on Sweden. 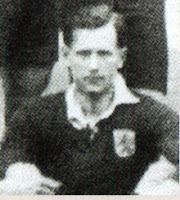 Spain’s Sabino earned his first cap for his Nation. It would be a physical encounter with many fouls. Sweden took the lead through Dahl in the first half. In the second half, Spain stormed back to win by scoring in the 51st minute through their captain Belauste and two minutes later by Acedo. 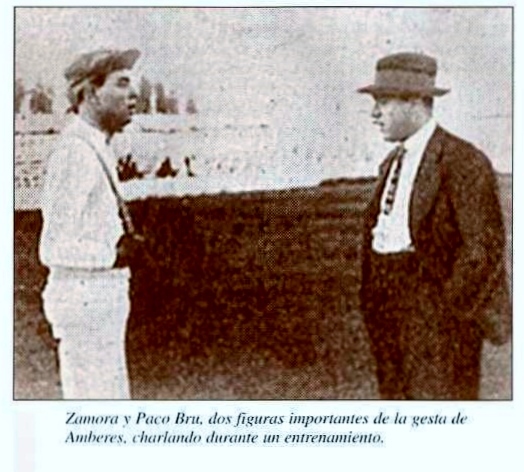 It has been said that before scoring Belauste had shouted to Sabino “A mi el peleton, Sabino, que los Arrollo” (get me the ball, sabino, I’ll crush them). According to many that is the reason the Spanish National Team is referred to as ‘Furia Roja’. Sweden had a chance to tie the match but Ragnar Wicksell (some sources show Olsson) missed his penalty kick attempt in the 65th minute as he was being distracted by Samitier. Later on, in the 75th minute, Sweden’s Albert Olsson broke his collarbone. On the following day (September 2nd), before the Gold Medal Final, Spain took on and defeated Italy (2-0) at Antwerp’s Kiel-Olympisch Stadion. For the Spanish Ramon Gil and Silverio Izaguirre made their debuts. The Italians also featured two new caps of their own: De Nardo and De Marchi. Spain won despite losing Pagaza to injury in the 35th minute and the sending off of Star goalkeeper Zamora in the 84th minute. Zamora was trying to intercept a cross from Menghetti when Baldini (some sources show Brezzi) kicked him in the knee. Zamora, without releasing the caught ball, punched him in retaliation. Silveiro would go in the net for the last six minutes. The Referee allowed Zamora to remain next to Silveiro to give him instructions. 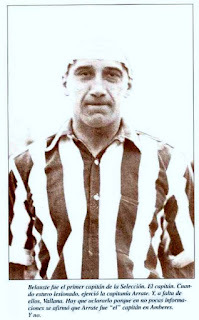 Felix Sesumaga scored both Spanish goals (Sesumaga would sadly pass away aged just 26 in 1925 after an illness). 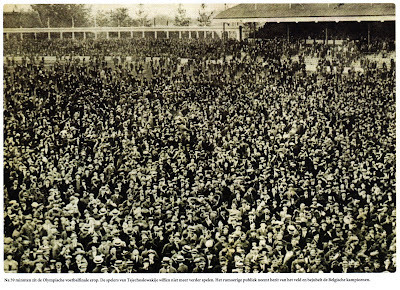 The Final took place on September 2nd at Antwerp’s Kiel-Olympisch Stadion between Belgium and Czechsolovakia. The match was scheduled for 17:30 PM but just two hours before the match, there were fans all over the field. The Army had to intervene to clear the field. Children had even dug tunnels under barriers to get into the stadium. This tunnel would be known as ‘Tranchee Olympique’ (Trench of the Olympic). It would turn out to be an ill-tempered match and end abruptly. From the onset the Belgian crowd was very hostile towards the Czechs and this affected the atmosphere on the pitch. Belgium were awarded a penalty kick in the sixth minute. The Czech goalkeeper Rudolf Kapka had caught a ball, but a Belgian player rushed into him and the ball was loose. 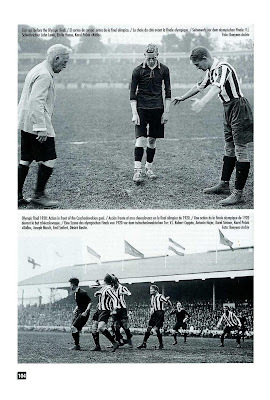 In the ensuing melee a Czech player handled and the Referee awarded a spot kick (some sources also claim that Bastin had been fouled). The Czechs protested for a foul on their goalkeeper but it was to no avail. 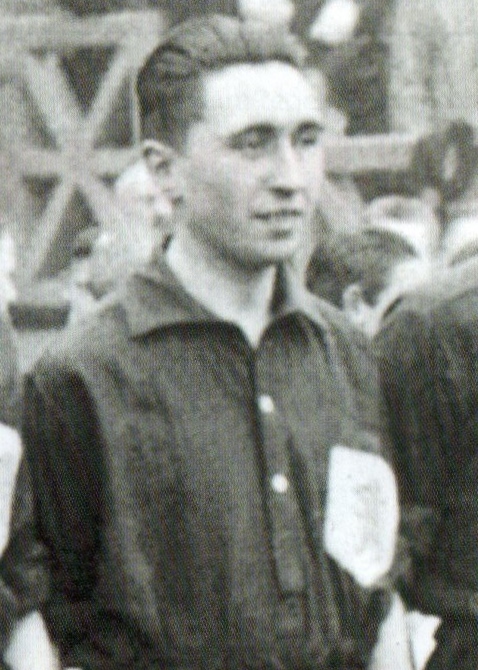 Robert Coppèe scored from the spot to give Belgium the lead. Belgium doubled its lead in the 30th minute through Henri Larnoe after Bragard and Lanoe had combined to set him up. It was just before halftime, in the 39th minute that all hell broke loose. 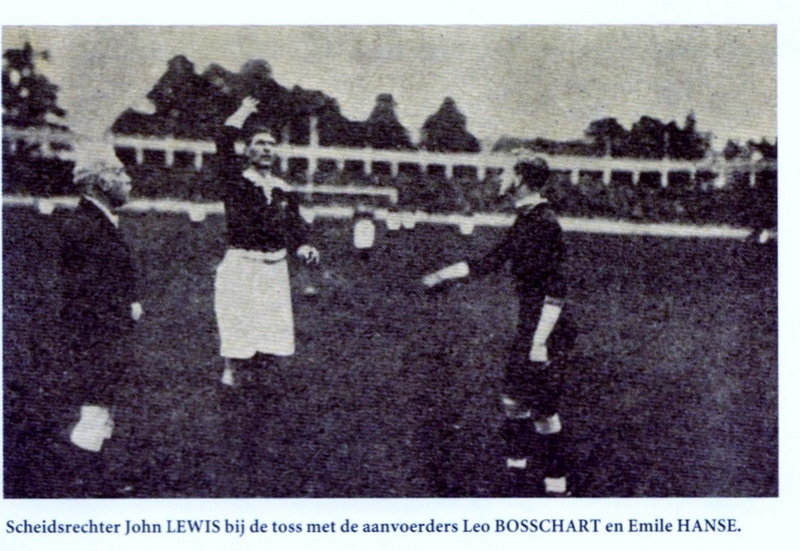 The English Referee John Lewis sent off Czechoslovakia’s Karel Steiner after he had fouled Robert Coppèe. The Czechs protested the decision vehemently but it was to no avail. Finally, Czech Captain Karel Kada -Pesek walked off the pitch in protest followed but all his teammates. They felt a sense of injustice and the crowd’s behavior only enraged them further. 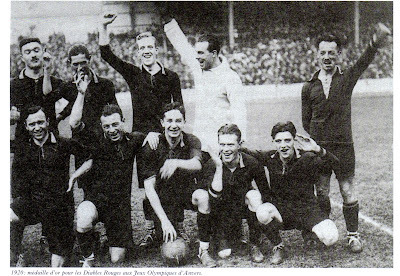 The Referee had no choice but to end the match and Belgium were declared winners and Gold Medal Winners. The crowd invaded the pitch in celebration and carried on their shoulders Captain Emil Hanse as well as the local star Lanoe. 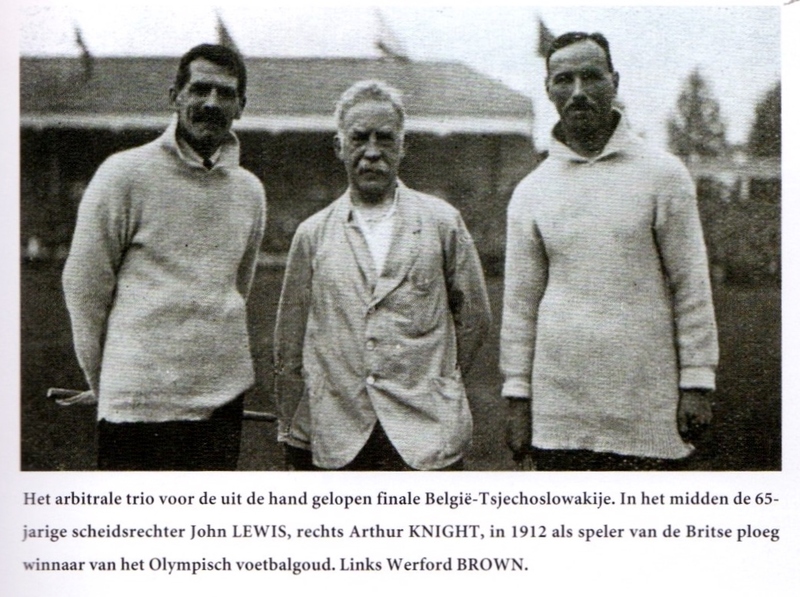 According to the memoirs (‘Football d’Ici et d’ailleurs’) of famous Belgian Referee John Langenus (who would officiate the 1930 World Cup Final), The Czechs were opposed and had not appreciated to the choice of English Referee John Lewis (whom they must have assumed would be pro-Belgium) and it was with that mentality that the match degenerated. 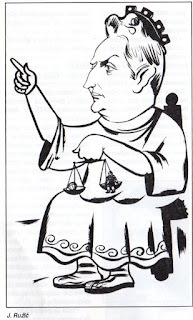 The Czechs would lodge an official complaint. 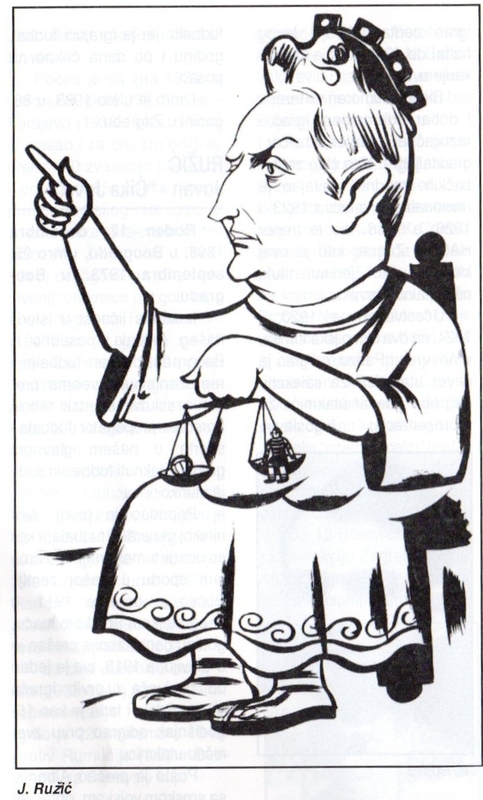 Their protest centered on three items: 1) The Trio of judges were all English, even though the rules stipulated that one of the linesmen should be of the participating team’s Nationality. Due to this oversight, they had requested the annulment of the match to the Referee, as well as a member of the International Olympic Committee and the Belgian Federation President, at the end of the match. 2) They questioned the Match Referee John Lewis’ decisions that according to them were mostly false and influenced by the Public. 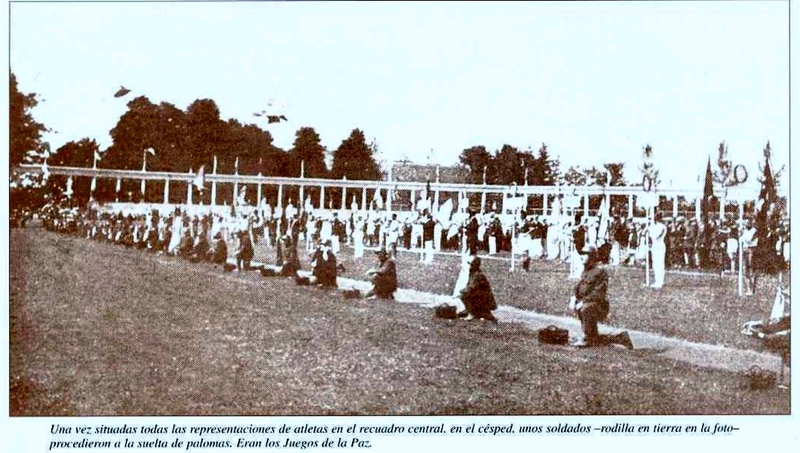 3) Belgian soldiers were near the whole field, which was provocative to them. Their presence made the squad uneasy and the players were prevented from playing their normal game. Furthermore, they made a note about the removal of the Czech flag by the Public. This protest fell on deaf ears and the Organizing Committee were so offended by this action that they asked them to withdraw it immediately. They reprimanded Czechoslovakia with unsporting behavior. The Czechs still persisted in their protest and FIFA had to send investigators to check the matter. The Czechs due to their walking off, were stripped from consideration for the Silver medal and were disqualified. 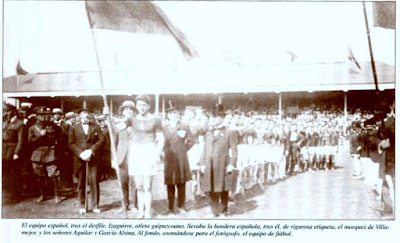 As a result, Spain who had won the Consolation Tournament on September 5th, after defeating Holland (3-1) at Antwerp’s Kiel-Olympisch Stadion were awarded the Silver Medal. 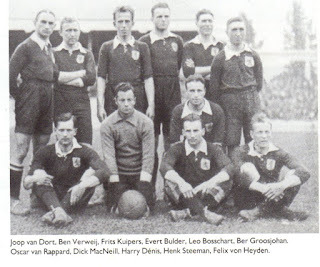 The Dutch were missing the suspended rebels and included two new caps in Von Heijden and Evert Bulder. Sesumaga scored another double for Spain and Pichichi scored Spain’s third and Ber Groosjohan had pulled a goal back for Holland. The Dutch were awarded the Bronze Medal after this loss. 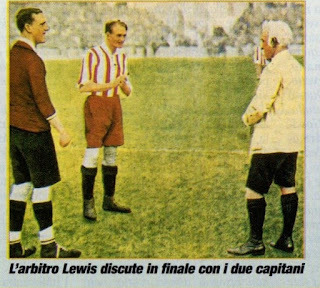 This was the final act of the 1920 Football Olympics and the time came to ponder upon the future of this growing sport. Many view these games as an example that the game was taking hold. According to observers the attendance at the Olympics was not as high as anticipated, it was the Football at these Olympics that saved the games with its much larger attendances. 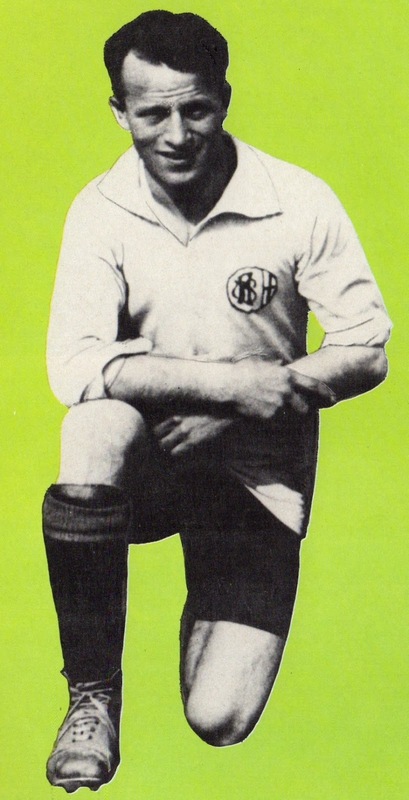 Gabriel Hanot, the former French International, now a Journalist for ‘Miroir des Sports’ noted that it took Football to take the Olympics out of its lethargy. He believed the Belgians liked violent sports and Football would have been successful at any Belgian city. He furthermore noted that these games were so successful that it should detach itself from the Olympics and be on its own. He advocated an International Tournament to take place every 2-3-4 years in a European capital. In time this type of idea would fester into the creation of the World Cup. 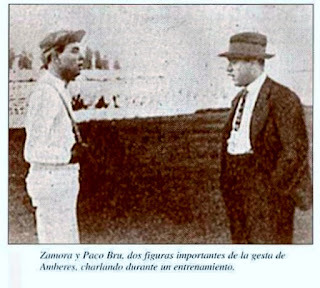 These games had introduced Ricardo Zamora, one of the legends of the sport, in addition to the stars of their days such as Adolfo Baloncieri and Jan de Natris. There were some criticisms as well. Playing matches in consecutive days drained players physically and led to injuries. In addition, teams with smaller pool of players could not call upon adequate replacements and suffered. The worst part of these Games were the behavior and fanaticism of the Belgian fans. There was still some residual jingoism from World War I that reached its crescendo with the treatment of the Czechs during the Final and the shameless removal of their flag. The Belgian Press were also not blameless. They had written stories that the Czechs were responsible for the first World War. This was an erroneous account since the Czechs were under the control of the Austro-Hungarian Empire at the time. The Belgian crowd would spur on and cheer every Belgian foul on a Czech player. Despite this the growth of the popularity of the game was undeniable and soon another continent would enter the fray. 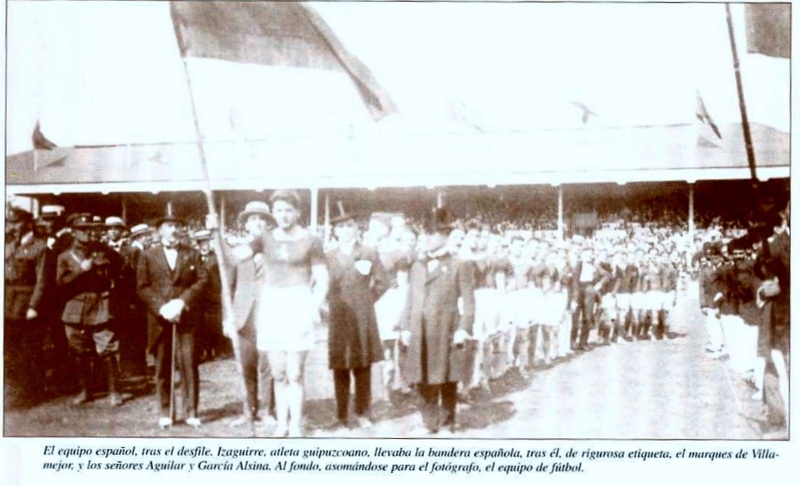 1-Spain Captain Athletic Bilbao’s Belasute (September 3, 1889-September 4, 1964) was active in politics. He was affiliated with the Basque Nationalist Party. Apparently during a meeting in 1922 he had shouted ‘death to Spain’. In the 1920 Olympics, he almost did not receive his medal because refused carry the Spanish flag in the parade. He would later voluntarily exile to France, Algeria, Argentina and Brazil before returning to Spain. He left Spain for Mexico at the onset of the Spanish Civil War in the 1930s. 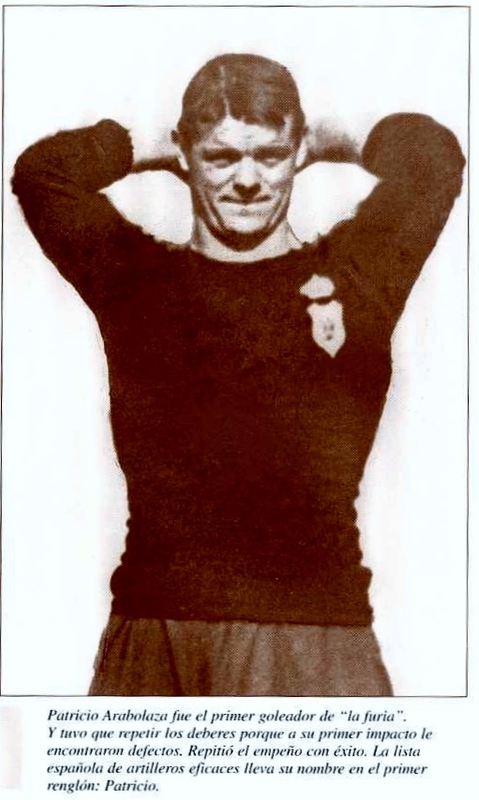 2-Spain’s Josep Samitier (February 2, 1902-May 4, 1972) was responsible for recruiting Hungary’s Ladislao Kubala for Barcelona. He was arrested during the Spanish Civil War but later released and then left for France. 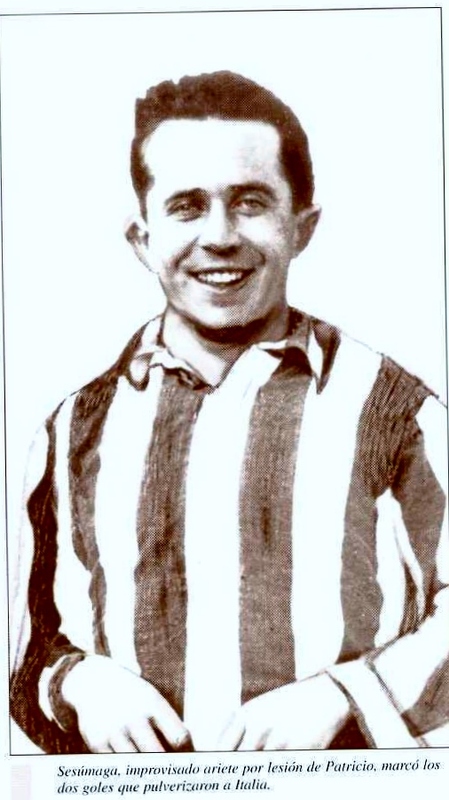 3-Yugoslavia’s Jovan Ruzic (December 12, 1898-September 25, 1973) was the first Serbian to play in the French League. 4-Emil Hanse (August 10, 1892- April 5, 1980) and Armand Swartenbroeks (June 30, 1892-October 3, 1980) were the last surviving members of the victorious Belgian squad. 5- Yugoslavia’s Emil Perska (June 20, 1897-May 1945) was linked with the ‘Ustase’ movement (Croatian Fascist organiztion). 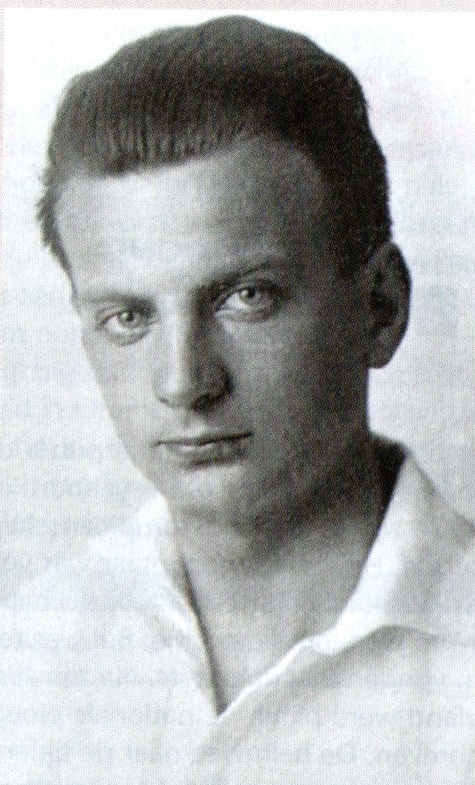 He was executed by Yugoslav partisans at the end of World War II.